Running a family business for 87 years is no mean feat and a great achievement in a country like Sri Lanka. Turning it over from one generation to the next is another feat altogether. Each generation of a family business has different visions, priorities when handing over the ownership, governance and adopting future strategy. Three generations of the Gnanam family have managed and nurtured the hardware, plastics, PVC product and textile business which was launched in the late 1930s during World War II by the Deshamanya A.Y.S Gnanam initially as a scrap iron selling venture. St. Anthony’s Group is now transitioning to a third-generation family leadership, under Jeevan Gnanam, one of founder A.Y.S. Gnanam’s grandchildren. St Anthony’s Industries Group (Pvt) Ltd is now ready to go global with its innovative hardware, housing interior products, innovative plastic items, Armor roofing sheets and many others. 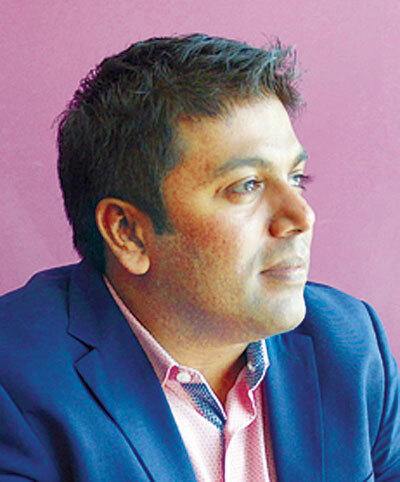 The company is planning to export its products to South Asian countries specially Bangladesh and Myanmar and Africa in the near future, Jeevan Gnanam, Executive Director of the Group and CEO of Orion Development (Pvt) Ltd disclosed in an interview with the Business Times in Colombo recently. A third generation leader of the company, Mr.Jeevan knows when family businesses implement an effective strategy for handing over the reins, members of the family enjoy much higher success rate and his task is to improve it by introducing novel concepts. After completing his graduate studies in the US and returning to Sri Lanka, he has diversified the group’s business into new and profitable areas and directing St. Anthony’s Industries towards IT, his pet subject. He noted that he received his grandfather and his father’s blessings and fullest support to set up Orion City, a self-sufficient IT Park on 16 acres in Colombo in 2009 to provide infrastructure for the development of IT and BPO services. It has gained a reputation for excellence setting the Sri Lankan benchmark for sophisticated commercial space and office infrastructure. Thirty-two local and international corporates including Virtusa, Pearson and WNS now operate in the Orion City, he said adding that around 6,000 Sri Lankan youths are employed in those firms. This IT Park will be expanded with a 22-floor Orion Towers with office space as well as malls, restaurants, hospitality services and gyms. Construction of the new building is now nearing completion and it will be opened soon, he revealed disclosing that it will add one million square feet to its current facility with an investment of around US$70 million. 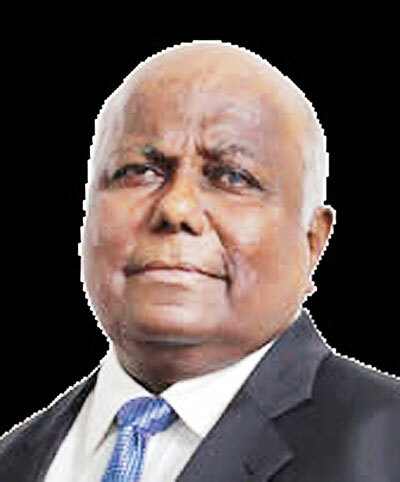 Tracing the history of the company, it has been revealed that the late Mr. Gnanam had put an emphasis on the building material business forming his company under the name of St Anthony’s industries producing and marketing hardware and PVC products in the late 1960′s and 1970′s. Seizing the opportunity during the period of the closed economy when the then government of the late Sirima Bandaranaike banned the import of hardware, textiles and plastic items, he started the production of bolts, nuts and hinges at St. Anthony’s Industries. Later he ventured into the manufacture of textiles by setting up Cyntex as a joint venture company in collaboration with Japanese Mitsui Company while expanding his hardware business into the production of plastic items including pipes as well as Rhino Roofing Sheets. He diversified his business by launching Tokyo Cement Co. catering to the needs of the building construction industry at that time. This was the beginning of a multi-billion rupee conglomerate that today, after eight decades, has expanded its business venturing into IT and modern technology field strengthening St Anthony’s group’s positioning as a major player in diversification and innovation. The most difficult and important transition is the first to second generation, Managing Director of St. Anthony’s Group Pvt Ltd, Arul S.G. Gnanam told the Business Times during the same interview. “This task has been made easy for me by my father the late A.Y.S Gnanam who entrusted with me the responsibility of handling the line ministries work,” he said adding that he has been able to cultivate contacts with officials and other staff members when he was serving the company. He noted that his first job was to go to the Industries Ministry everyday and get the licence for raw material and as a Director at Cyntex his work pertained to textiles. Those top official contacts had been very useful to him after he took over the management of the company succeeding his father; he disclosed going back to the memory lane around 35 years ago after his return to Sri Lanka graduating as an engineer in the US. Businesses started by entrepreneurs like his father became successful because they exploited gaps in the market by being very quick, he said adding that they made quick decisions and took risks. Mr. Arul revealed that he focused his attention on improving the manufacturing of plastic products after the closure of Cyntex factory. Since there has been much competition in the market for basic hardware materials like pipes, they had to produce and market new products with high technology, he disclosed. He noted that the second generation of St Anthony’s Group headed by him has been able to take more formal management measures enabling the company to maintain growth momentum and scale up. This was quite different from the first generation’s natural leadership and management style, he said emphasising those Sri Lankan youths should be trained and given practical experience to contribute their share to the industry. He said that he has handed over the mantle of the group to his son Jeevan so that he and his subordinates of the present young generation can take the next step by analysing the competition from both local and foreign players who are competing in the same market. Acknowledging his father’s comments and observations, Mr. Jeevan noted that St. Anthony’s Group continues to redefine housing interior product experience with the opening of the sophisticated new centre- ‘Dimensions’ at Nawala recently. ‘Dimensions’ breaks new ground as the retailer’s foot print in the country and first concept store in its kind in Sri Lanka, he added.